Alarm systems tailored to meet your requirements. Security alarm systems are able to be installed as a standalone system or as part of a full access control system. 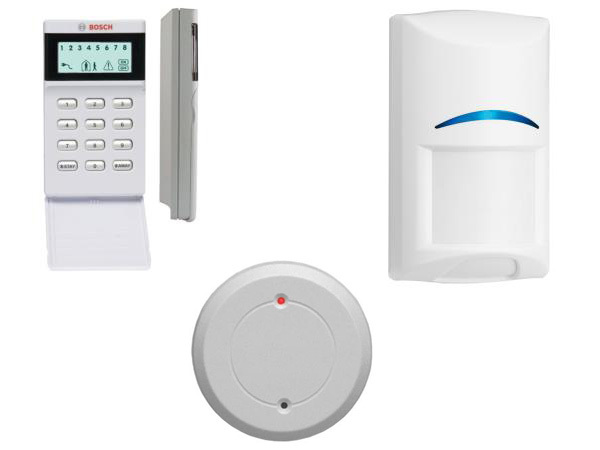 We offer a range of security alarm products. Flexible solutions are available which can be extended upon at a later date. Bosch, Hills, and Paradox are among our most commonly installed and designed systems. Custom alarm systems for homes and offices can be designed to suit almost any size budget. A basic system may include an intruder alarm. These act as a deterrent for break-ins. Wynns Locksmiths provides an alarm monitoring service 24 hours, 7 days a week. If your alarm is activated we will respond by contacting you, your emergency contacts, and if required emergency services. Panic buttons can be installed, supplied, and programmed to immediately engage an emergency contact. This may be the Ambulance service or a family member. Medical panic buttons offer peace of mind for friends and relatives of an elderly person living alone. Worried that your dog or cat will constantly trigger your security alarm? We’re able to assist with detector solutions to prevent your four legged friends causing any sirens to sound. Modern alarm system technology integrates with your smartphone via an app. Allowing you to remote control your alarm. Forgot to arm the alarm on your way out? No need to stress. You can arm or disarm your alarm from your phone with ease. A Wynns Locksmiths professional technician will be able to assess your home and recommend required components to maximise the security of your property. We are able to tailor security solutions to suit your budget. Domestic alarm systems are a convenient and easy way to add some extra security to ensure the safety of you and your family.